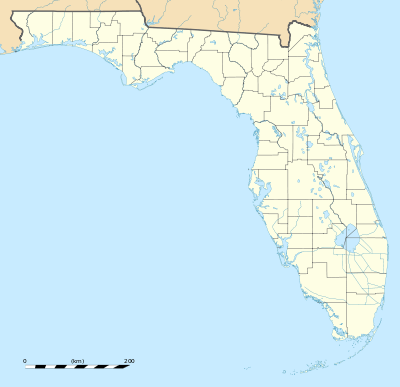 The Gulf Coast League is a Minor League Baseball league that operates in Florida. It is a rookie league, and together with the Arizona League it forms the lowest rung on the minor-league ladder. On June 21, 2016, the GCL hired Jen Pawol, the first female umpire in Minor League Baseball since 2007, and the first in the GCL since 1978. GCL teams are not referred to by their home city, but simply by their parent club's name, the prefix "GCL" or "Gulf Coast" if necessary to differentiate between them and another club sharing the nickname, and a cardinal number if the parent club sponsors more than one team in the league. Some of these teams share stadiums with their club's High-A affiliate in the Florida State League, which can lead to confusion, as FSL teams do use the city name (e.g. the Tampa Yankees, three levels up from the GCL Yankees 1 and GCL Yankees 2, who also play in Tampa). The Detroit Tigers and New York Yankees are fielding two teams, the first time since 1981 when the Houston Astros (1980—81) and Kansas City Royals (1974, 1979—81) did so. ↑ "Gulf Coast League Encyclopedia and History". Baseball Reference. Retrieved February 26, 2015. ↑ Bender, Bob (1964-07-07). "Rookie League Should Aid Sarasota Economy". St. Petersburg Times. Retrieved May 6, 2016. ↑ "Special Ceremonies Mark League Opening". St. Petersburg Times. 1964-06-27. Retrieved May 6, 2016. ↑ "Gulf Coast League playoff procedures". Minor League Baseball. Retrieved May 6, 2016. ↑ "Davenport, Florida Minor League history". Baseball-Reference.com. Retrieved 13 September 2012.